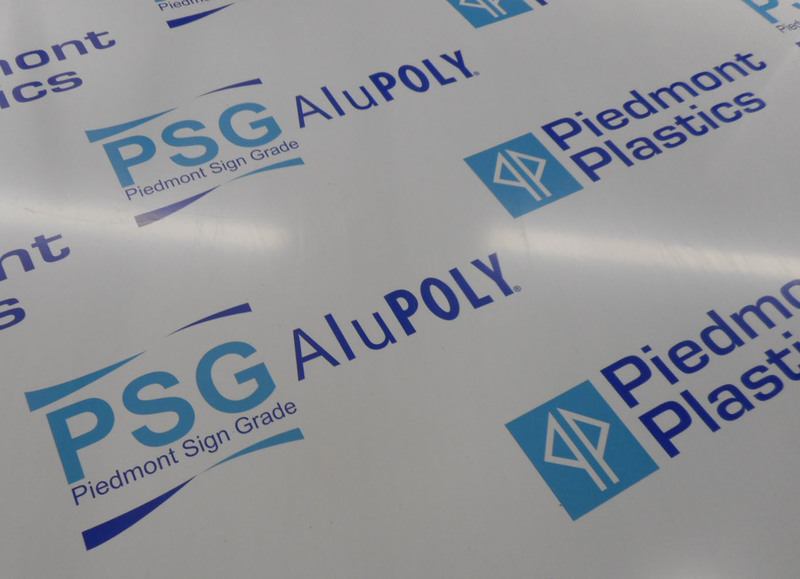 Piedmont Plastics' SupraFlex line of digitally printable banner materials can be used in many markets for a wide range of applications. The most commonly used material is Horizon, a heavyweight, front-lit polyvinyl chloride (PVC) banner, which is versatile for single-sided interior and exterior applications. The SupraFlex line also includes: Curl Free, a scrimless banner for roll-up or pop-up displays; Eclipse, a blockout banner for durable, high-resolution double-sided prints; and Breeze, a mesh banner for exterior applications, particularly those with high wind loads. The materials are available in rolls from to 1 to 5 m (38 to 197 in.) wide and up to 229 m (750 ft) long, in weights from 198 to 624 g (7 to 22 oz). They are compatible with solvent-based, 'eco-solvent' and ultraviolet-curing (UV-curing) large-format inkjet printers. Once printed, the materials can be finished with grommets, hems, pockets and seams for a polished, professional appearance. The 2016 National Association for Stock Car Auto Racing (NASCAR) season kicked off last month—and with it, new race car wraps have been printed on Roland DGA machines for Richard Childress Racing (RCR). Consumers are spending more and more time out of their homes working, shopping, and playing. According to the Outdoor Advertising Association of America (OAAA), as much as 70 per cent of their waking hours are spent away from home. In November 2014, the European Specialist Printing Manufacturers Association (ESMA) organized the first-ever Printed Interior Decoration (PID) conference in Düsseldorf, Germany. Shops, companies, and other businesses often turn to sign shops and print service providers when looking for inspiration as to how to build an updated, branded environment. One way to achieve this goal is to communicate a company’s story via compelling and unique wall and window graphics. Identity Brand, a graphics company, teamed up last year with Acrylic Tank Manufacturing (ATM) owners Wayde King and Brett Raymer, hosts of the Animal Planet TV series Tanked, to create a custom-wrapped 2014 Highlander sport utility vehicle (SUV) for Toyota. The sign, graphics and visual communications industry is poised for continued above-average growth in 2018, according to the latest quarterly economic report commissioned by the International Sign Association (ISA).